Looks like the time has come. As of right now, iPod click wheel games are not available to be purchased anymore. 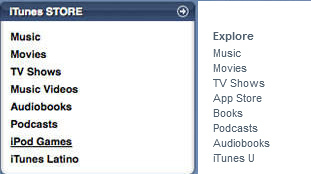 Previously, users were able to access the “iPod Click Wheel Games” by clicking the link in the drop-down menu on the App Store link in iTunes. As of today, there is no link available select. The removal of the link comes as rumors are surfacing that Apple is discontinuing the original iPod Classic line, ending the 10 year run for the device since 2001. 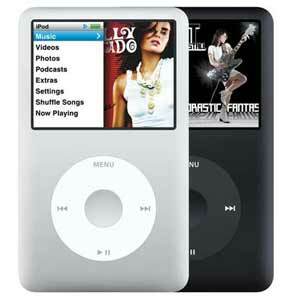 Apple started selling iPod click wheel games in 2006 with games like “Vortex,” “iQuiz” and “Klondike” with some of their own games like “Texas Hold’Em” and “Reversi”, though the very first game was a hidden easter egg named “Brick”, originally created by Steve Wozniak, Apple co-founder. At the end of its life, the store had 50 different games up for sale. The games were priced at $7.49 per game and relied on the touch-sensitive click wheel. A probable reason the iPod click wheel games store did not go off as well as the iPhone and iPod touch app store was because the software development kit to the public while the iPhone and iPod development kit was released to the public. It may be possible that Apple may say that the line will be discontinued during Tuesday’s Apple event, though that is not likely to happen.